Treaty of Paris of 1815, was signed on 20 November 1815 following the defeat and second abdication of Napoleon Bonaparte. In February, Napoleon had escaped from his exile on Elba; he entered Paris on 20 March, beginning the Hundred Days of his restored rule. Four days after France's defeat in the Battle of Waterloo, Napoleon was persuaded to abdicate again, on 22 June. King Louis XVIII, who had fled the country when Napoleon arrived in Paris, took the throne for a second time on 8 July. The 1815 treaty had more punitive terms than the treaty of the previous year. France was ordered to pay 700 million francs in indemnities, and the country's borders were reduced to their 1790 level. France was to pay additional money to cover the cost of providing additional defensive fortifications to be built by neighbouring Coalition countries. Under the terms of the treaty parts of France were to be occupied by up to 150,000 soldiers for five years, with France covering the cost; however, the Coalition occupation under the command of the Duke of Wellington was only deemed necessary for three years and the foreign troops pulled out in 1818 (see Congress of Aix-la-Chapelle). Additional Article on the Claim of the Cti. de Bentheim and Steinfurtft. Separate Article between Russia and France. The 1815 peace treaties were drawn up entirely in French, the lingua franca of contemporary diplomacy. There were four treaties, between France and each of the four major Seventh Coalition powers: Austria, Great Britain, Prussia and Russia. All four treaties were signed on the same day (20 November 1815), had verbatim stipulations, and were styled the same way (for example the "Definitive Treaty between Great Britain and France"). The treaty was harsher towards France than the Treaty of 1814, which had been negotiated through the manoeuvre of Talleyrand, because of reservations raised by the recent widespread support for Napoleon in France. France lost the territorial gains of the Revolutionary armies in 1790–92, which the previous treaty had allowed France to keep; the nation was reduced to its 1790 boundaries (plus the enclaves of the Comtat Venaissin and the County of Montbéliard, which France was allowed to keep). France was now also ordered to pay 700 million francs in indemnities, in five yearly instalments, and to maintain at its own expense a Coalition army of occupation of 150,000 soldiers in the eastern border territories of France, from the English Channel to the border with Switzerland, for a maximum of five years. The twofold purpose of the military occupation was rendered self-evident by the convention annexed to the treaty outlining the incremental terms by which France would issue negotiable bonds covering the indemnity: in addition to safeguarding the neighboring states from a revival of revolution in France, it guaranteed fulfilment of the treaty's financial clauses. Although some of the Allies, notably Prussia, initially demanded that France cede significant territory in the East, rivalry among the powers and the general desire to secure the Bourbon restoration made the peace settlement less onerous than it might have been. The treaty was signed for Great Britain by Lord Castlereagh and the Duke of Wellington and by the duc de Richelieu for France; parallel treaties with France were signed by Austria, Russia, and Prussia, forming in effect the first confederation of Europe. The Quadruple Alliance was reinstated in a separate treaty also signed 20 November 1815, introducing a new concept in European diplomacy, the peacetime congress "for the maintenance of peace in Europe" on the pattern of the Congress of Vienna, which had concluded 9 June 1815. The treaty is brief. In addition to having "preserved France and Europe from the convulsions with which they were menaced by the late enterprise of Napoleon Bonaparte", the signers of the Treaty also repudiated "the revolutionary system reproduced in France". The treaty is presented "in the desire to consolidate, by maintaining inviolate the Royal authority, and by restoring the operation of the Constitutional Charter, the order of things which had been happily re-established in France". The Constitutional Charter that is referred to so hopefully, was the Constitution of 1791, promulgated under the Ancien régime at the outset of the Revolution. Its provisions for the government of France would rapidly fall by the wayside, "notwithstanding the paternal intentions of her King" as the treaty remarks. The first Treaty of Paris, of 30 May 1814, and the Final Act of the Congress of Vienna, of 9 June 1815, were confirmed. On the same day, in a separate document, Great Britain, Russia, Austria, and Prussia renewed the Quadruple Alliance. The princes and free towns, who were not signatories, were invited to accede to its terms, whereby the treaty became a part of the public law by which Europe, with the exclusion of Ottoman Turkey, established "relations from which a system of real and permanent balance of power in Europe is to be derived". An additional article appended to the Definitive Peace Treaty addressed the issue of slavery. It reaffirmed the Declaration of the Powers, on the Abolition of the Slave Trade, of 8th of February 1815 (Which also formed ACT, No. XV. of the Final Act of the Congress of Vienna) and added that the governments of the contracting parties should "without loss of time, ... [find] the most effectual measures for the entire and definitive abolition of a Commerce so odious, and so strongly condemned by the laws of religion and of nature". The convention on pecuniary indemnity regulated the mode of liquidating the indemnity of 700 millions francs to be paid by France, in conformity to the fourth article of the treaty. The sum was to be paid, day by day, in equal portions, in the space of five years, from 1 December 1815. Thus, France had to pay on account of this convention, 383,251 francs every day for five years; equal to about 16,000 pounds sterling at the exchange rate of the day. For this daily quota, the French government had to give assignations on the French treasury, payable to bearer, day by day. In the first instance, however, the Coalition Commissioners were to receive the whole of the 700 million in fifteen bonds of 46⅔ million each; the first of which was payable on 31 March 1816, the second on 21 July 1816, and so on, every fourth month. In the month preceding the commencement of each of these four monthly periods, France was to redeem successively one of these bonds for 46⅔ millions, by exchanging it against the first-mentioned daily assignations payable to bearer, which assignations, for the purpose of convenience and negotiability, were again subdivided into coupures, or sets of smaller sums. As a guarantee for the regular payment of these assignations, and to provide for deficiencies, France assigned, moreover, to the allies, a fund of interest, to be inscribed in the Grand Livre of her public debt, of seven millions francs on a capital of 140 millions. A liquidation was to take place every six months, when the assignations duly discharged by the French Treasury were to be received as payments to their amount, and the deficiency arising from assignations not honoured would be made good, with interest, at five percent from the fund of interest inscribed in the Grand Livre, in a manner specified in this convention. The convention on the military line regulated all matters concerning the temporary occupation of the frontiers of France by a Coalition army of 150,000 men, conforming to Article 5 of the definitive treaty. 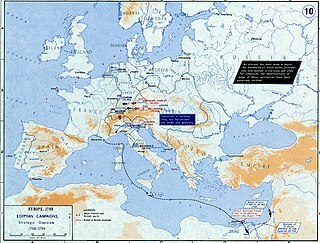 The military line to be occupied, would extend along the frontiers which separated the departments of the Pas de Calais, of the North of the Ardennes, of the Meuse, of the Moselle, of the Lower Rhine, and of the Upper Rhine, from the interior of France. The District of Lure, in the Department of the Upper Saône; and that of Saint-Hippolyte in the Department of the Doubs. Within the line occupied by the Coalition army, 26 fortresses were allowed to have garrisons (see he table on the right), but without any materiel or equipment of artillery and engineer stores. France was to supply all the wants of the 150,000 allied troops who remained in the country. Lodging, fuel, light, provisions, and forage were to be furnished in kind, to an extent not exceeding 200,000 daily rations for men, and 50,000 daily rations for horses; and for pay, equipment, clothing, &c.
France was to pay to the allies 50 millions francs per annum during the five-year occupation: the allies, however, were content with only 30 million, on account, for the first year. The territories and fortresses definitively ceded by France, as well as the fortresses to be provisionally occupied by the Coalition troops for five years, were to be given up to them within ten days from the signature of the principal treaty, and all the Coalition forces, except 150,000 which were to remain, were to evacuate France within 21 days from that date. The direct expense entailed upon France by this convention greatly exceed the amount of the indemnity of 700 million. Estimating the value of the soldier's portion and allowances at 1½ francs, and the cavalry ration at 2 francs, the annual cost of the deliveries in kind for 200,000 portions and 50,000 rations would have been 146 million in francs, which, with the addition of 50 million franc of money per annum, formed a total of 196 million francs per annum, equal to 22,370 sterling per day at the exchange rate of the time. All these claims were to be sent in within a year after the ratification of the treaty or they would be voided (Article 16), and committees for their liquidation were to be appointed. The fourth convention related exclusively to the liquidation of the claims of British subjects on the government of France, in conformity with the Paris peace treaty of 1814, and the Article Eight of the Paris Peace Treaty of 1815. All British subjects who, since 1 January 1791, had suffered loss of property in France, by sequestration or confiscation by the French Government, were to be indemnified. The amount of permanent stock lost was to be inscribed in the Grand Livre, and to bear interest from 22 March 1816; excepting, however, such holders as had, since 1797, voluntarily submitted to receive their dividends at a third. The same was to be the case in regard to former life annuities from the French government. The claims were to be examined and decided on by a mixed commission of liquidation: and, if their votes were equal, an arbitrator would be chosen by lot from a mixed commission of arbitration. As a guarantee for the payment of claims sanctioned under this convention, there was to be inscribed in the Grand Livre, before 1 January 1816, a capital bearing 3½ millions francs of interest, in the name of a further mixed commission of English and French officers, who were to receive such interest; without, however, disposing of the same otherwise than by placing it in the public funds, at accumulating interest for the benefit of the creditors. As soon as the inscription had been effected, Britain would restore the French colonies as agreed in the treaty of 1814, including the islands of Martinique and Guadeloupe, provisionally re-occupied by the British troops. The Swiss Confederation had been internationally recognised as an independent neutral state at the Peace of Westphalia in 1648. During the Napoleonic Wars it failed to remain neutral, as some cantons had been annexed into other states and, under French influence, the Act of Mediation was signed and the Swiss Confederation was replaced by the more centralised Helvetic Republic which was allied to France. With the fall of Napoleon Bonaparte in 1814, the Cantons of Switzerland started the process of constructing a new, less centralised constitution. On 20 March 1815, at the Congress of Vienna, the European powers (Austria, France, Great Britain, Portugal, Prussia, Russia, Spain and Sweden) agreed to recognise permanently an independent, neutral Switzerland, and on 27 May Switzerland acceded to this declaration. However, during Napoleon's Hundred Days the Seventh Coalition suspended the signing of the Act of Acknowledgement and Guarantee of the perpetual Neutrality of Switzerland until after Napoleon Bonaparte was defeated — this allowed Coalition forces to pass through Swiss territory. So with Article 84 of the Final Act of the Congress of Vienna dated 20 November 1815, the four major Coalition powers (Austria, Great Britain, Prussia and Russia) and France gave their formal and authentic acknowledgement of the perpetual neutrality of Switzerland. ^ Tombs 1996, p. 337. ^ a b Great Britain Foreign Office 1838, p. .
^ Michael G. Fry, Erik Goldstein and Richard Langhorne, Guide to International Relations and Diplomacy, "The Congress and Concert of Europe, 1814–1830" p, 118. ^ Articles 4 and 5. ^ The army of occupation and the Duke of Wellington's moderating transformation from soldier to statesman are discussed in Thomas Dwight Veve, The Duke of Wellington and the British Army of Occupation in France, 1815–1818 (Westport CT:Greenwood Press) 1992. ^ A point made by Nicolle 1953:344. ^ Act of the Congress of Vienna, Article 119. ^ Turkey had been excluded from the Congress of Vienna by the express wish of Russia (K. Strupp, et al., Wörterbuch des Völkerrechts, (Berlin, 1960-62) s.v. "Wiener Kongress"). ^ The wording is from the 20 May 1814 treaty, quoted in Hugh McKinnon Wood, "The Treaty of Paris and Turkey's Status in International Law" The American Journal of International Law 37.2 (April 1943:262–274) p 263 and note 6; Wood's main subject is the Treaty of Paris (1856), terminating the Crimean War. ^ To divide up the sum of 100 million more precisely for this number of men the payment would be 426 francs 38.50 cents per man. ^ Delayed until after the 1840 Rhine crisis. In 1841 the German Confederacy decided to erect two fortresses in Rastatt and Ulm. After the defeat of Napoleon at the Battle of Waterloo and the advance on Paris by the Coalition armies during the months of June and July 1815, although they besieged and took some towns and fortresses as they advance, they bypassed many of them and detached forces to observe and reduce them. The last of the French fortresses did not capitulate until September of that year. The 1816 Treaty of Turin was a treaty between Switzerland and the Kingdom of Sardinia which expanded the Canton of Geneva. The Convention of Schönbrunn was signed between France and Prussia at Schönbrunn Palace in Vienna on 15 December 1805. The terms were negotiated by Géraud Duroc, who signed for France, and Christian Graf von Haugwitz, who signed for Prussia. The convention was superseded by the Treaty of Paris of 15 February 1806, which incorporated its main terms.